Performing Life Bolivia – Building a better future through performing arts. Performing Life is a registered nonprofit organization founded to help impoverished youth working and/or living on the streets of Cochabamba, Bolivia. Today our various programs empower these young people by teaching them performance and visual arts as productive skills for avoiding drugs and delinquency while ensuring participants remain in school and receive academic support when needed. Performing Life also provides participating youth with new economic opportunities, and the funds they earn are used to start savings accounts that allow them and their families to make important decisions about their educational and financial futures. Since its inception our organization has helped over 2,100 children and members of their families, and we are proud that youth interest in our programs, and desire to expand them, has never been greater. We’re glad you’ve found us, too. For more information about the important work we’re doing here in Bolivia, read on! The Circus Arts Program started in March 2006. It is the oldest of Performing Life’s projects and forms the heart of the organization’s youth programs. Social Circus classes teach at-risk youth in deprived areas circus arts, including juggling, acrobatics, unicycle, and much more. Our workshops have a positive impact on participants’ personal development, increasing abilities such as teamwork, communication, and concentration, as well as developing self-esteem, expression, and self-determination. Read more about this program! The Music Program began in 2008 with a small studio in a closet, minimal equipment, and six to ten participants. The Music Program engages youth with the least amount of opportunities in life in an environment where they develop self-esteem, using music to express their feelings about their lives and the world around them. The participants learn to create and write lyrics, put them to music, create beats, and produce albums in diverse genres such as pop, acoustic, contemporary, and hip hop. The Social Education Program is a replacement for the education program. It focuses on the development of a set of skills and abilities that empower boys and girls to have better opportunities for the future. They work on issues such as basic and advanced social skills, emotional intelligence, alternatives to aggression, coping with stress, planning skills, gender equality, conflict management, etc. All of this focuses on participatory, active methodologies and with an important recreational component to keep the children motivated, interested and participative. The Health Programs provide essential services that help to improve participating youth’s overall health through collaboration with local organizations. Youth and their families have access to Dental care, General Health Check-ups, and educational workshops aimed at improving living conditions, family planning and disease prevention. Scholarship and Higher Education Programs are available to all youth who regularly attend PL activities and are 16 and above. Past opportunities include training and workshops with Cirque du Monde and scholarships to learn English and Sound Engineering. Through one of our partner organizations, Smiles Forever, young women become certified Dental Hygienists. In 2015 we are forming relationships with other Bolivian and foreign universities to provide youth with the opportunities they need to become a professionals in more fields. The Performing Life Cafeteria provides over 70 kids in the programs with a free healthy meal each day, and employment for mothers as cooks. The Bracelet and Micro-Enterprise Program which began in 2006, is a youth-managed enterprise that offers participants and their families the opportunity to make beautiful, high-quality bracelets that are then sent to the United States for sale. All profits are returned to the participants and saved in their own bank accounts, which are set up by Performing Life. Families learn to use these funds for education, improving living conditions, and starting microenterprises that sustain them and/or their families. The Education Program was established in 2014 to offer enrichment lessons engaging youth with a range of subjects designed to improve their educational attainment and broaden their perspectives with topics that are not being taught in the Bolivian school system. Participants take classes each week on how to use the Internet and learn skills that they need to be successful now and later in life. BECOME A MEMBER AND DONATE NOW! Become a member and make a donation to help improve the lives of the children and families here in Cochabamba. There are many ways you can contribute to Performing Life. It doesn’t matter where you are, what skills you have, or how much time or money you can spare. Click below to see our options for volunteering! Get our news in your mailbox! My name is Marye Dijkstra and I am from The Netherlands. From an early age I have always had a natural instinct to help other people, especially children, but above all: whole family systems. Offering disadvantaged families in less fortunate situations the opportunities to further their aspirations, goals and expectations of life. I believe it is a challenge to make people stronger and teach them to discover their own strengths and talents to change their own present and future. In 2010 I worked for 3 months as a volunteer in a day-care center for children with special needs in Cochabamba, Bolivia. I was immediately excited about Bolivia with its authentic and special culture, nature and population. I graduated with my Master’s in pedagogical sciences in the Netherlands in 2011. 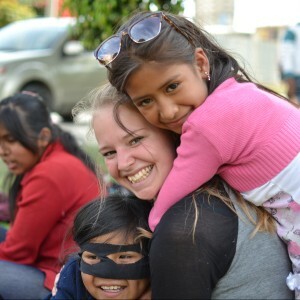 After graduating, I returned to Bolivia for 1.5 years to volunteer again, this time with orphans. 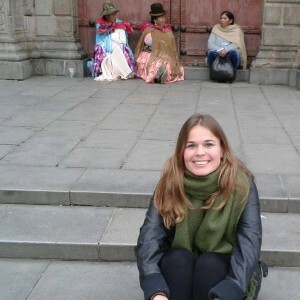 Unfortunately I couldn’t volunteer forever, so I returned to The Netherlands to work two years with young adults who suffered from mental disabilities and conduct problems, but still with the plan to live in Bolivia in the future again. Then, at the end of last year, I was really happy to discover that Performing Life had a vacancy. I read a lot about the organization and I was directly feeling morally connected to their mission and goals. I love that Performing Life has a fun and cheerful method to achieve a serious purpose. I think it is exactly the right method to reach children, their families and communities. The organization has different, complementary, programs to achieve a better future for people who really need it. So, I am really lucky to be able to say that since mid-February I am working as the new National director. I am here just for two weeks right now and I already feel comfortable and really welcome in the Performing life team! Cristian Maire, 12, joined Performing Life (PL) in April 2012. He lives with his stepfather, mother, and older brother; he doesn’t know his father, who abandoned the family before Cristian was born. His family lives in one room in the Montenegro region, about 20 km west of Cochabamba. Because Cristian’s family has only one bed, he sleeps on the floor. Cristian’s stepfather is often verbally abusive, and worse, sometimes beats him. Cristian’s mother previously worked selling salchipapas (a popular local dish) but is currently unemployed. To help support his family, Cristian previously worked hauling bricks with his uncle who builds houses. For his labor Cristian received 20 – 30 bolivianos after a house’s walls were finished, a process which usually takes about 2 weeks. 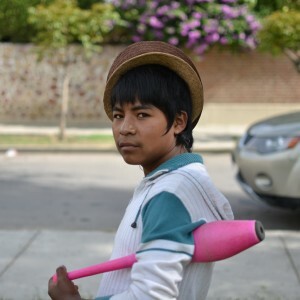 He also sold ice cream in the street and earned around 20 bolivianos a day for 5 – 6 hours of work. Cristian attended school before joining PL but is currently 2 years behind: he is in the Grade 4 but should be in the Grade 6. His family is unable to help him with his homework as both his mother and stepfather are illiterate. Cristian is part of PL’s Circus Art Program and says he enjoys learning skills that before he only saw performed in circuses. He wants to improve the performance skills he has learned and likes attending the Quillacollo classes with his cousin and the new friends he has made there. When he first joined PL, Cristian often demonstrated poor behavior and had great difficulty concentrating, but he is making progress and is now able to focus for longer periods of time during classes and has begun acting in performances. We believe that Circus Arts Program is helping Cristian to become a more centered individual by providing the kind of structured environment and positive support that a boy without a father needs. These days Cristian works much less – only 1 or 2 days a week – and only sells ice cream. In the future, he wants to learn construction and eventually be able to build houses like his uncle. Cristian hopes to one day help his family buy some land and build a house of their own. He plans to work harder in school and in PL’s school support activities and to eventually graduate from high school. With his continued involvement in the PL Circus Arts Program, we believe Cristian has the best chance of achieving these important goals and building a better future for himself and his family.